The Animal Medical Center of Bradenton has been providing Bradenton, Sarasota and the Gulf Coast area with small animal veterinary care needs along with boarding services for over 30 years. Our team is committed to providing the highest quality health care and boarding services possible for your pet. We offer a wide range of medical services as well as boarding services. Dr. Michael C. Fleck is the owner and practicing veterinarian of the Animal Medical Center. He brings 45 years of experience along with a genuine concern for the care for your pet. We offer general exams, diagnoses and treatments, surgeries, (spay and neuters), dental and yearly vaccinations. Please don’t hesitate to call us if you have any questions or wish to schedule an appointment. 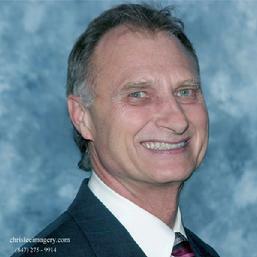 Dr. Michael C. Fleck has been practicing Veterinary Medicine for over 35 years. He earned a bachelor of sciences degree and a degree in Veterinary Medicine from Michigan State University, as well as, a Master's degree in Reproductive Physiology from Western Michigan University. He has owned and operated veterinary practices in Michigan, Florida and Guam. He is also licensed to practice veterinary medicine in California, Michigan, Guam and the Pacific Islands, as well as, Florida. Dr. Fleck is al an active member of the AVMA (American Veterinary Medical Association), the FVMA (Florida Veterinary Medicine Association), the CVMA (California Veterinary Medical Association), and the MVMA (Michigan Veterinary Medical Association). Currently, Dr. Fleck practices at the Animal Medical Center of Bradenton, Florida, mainly focusing on small animals. Recently, he has emphasized his special interest in skin care. With this interest he became a licensed human facial skin specialist, also know as, an esthetician. He is believed to be the only licensed veterinarian and esthetician in the world. In 2005, Dr. Fleck started his company Epiderma Pet, LLC, which develops and designs pet skin and ear care products and treatment programs under the trademark name, Epi-Pet. Dr. Fleck lectures and presents seminars around the country primarily on the topic of skin and ear care for the companion pets.